The Intergovernmental Panel on Climate Change (IPCC) is the international body for assessing the science related to climate change. It was set up in 1988 by the World Meteorological Organization and the United Nations Environment Programme to provide policymakers with regular assessments of the scientific basis of climate change, its impacts and future risks, and options for adaptation and mitigation. 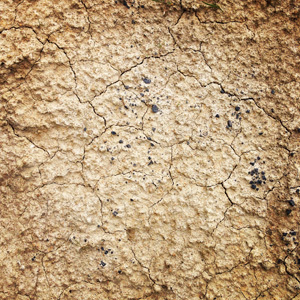 Cracked Earth by Kundan Ramisetti. The IPCC’s recent report entitled Climate Change 2014 – Mitigation of Climate Change states that global greenhouse gas emissions are continuing to rise at an accelerated pace and concludes that urgent action is needed to limit the increase in global mean temperature to two degrees Celsius. It also states that action taken now will be far less costly than postponing action for the future. This latest release, the third instalment of the Panel's Fifth Assessment report spotlights the options for mitigating climate change and their underlying technological, economic and institutional requirements. It lays out risks, uncertainty and ethical foundations of climate change mitigation policies on the global, national and sub-national level. It also investigates mitigation measures for all major sectors and assesses investment and finance issues. The new survey follows the release two weeks ago of the report Climate Change 2014: Impacts, Adaptation, and Vulnerability, which found that the effects of climate change are already occurring in all continents and across the oceans, and the world, for the most part, is ill-prepared for their risks. It warned that while action can be taken; managing these impacts will be difficult on a rapidly warming planet. This report found that climate change is being felt on all continents and have already affected agriculture, human health, ecosystems on land and in the oceans, water supplies and people’s livelihoods. It also said that the impacts are occurring from the 'tropics to the poles, from small islands to large continents, and from the wealthiest countries to the poorest, although it will be the poorest who will be hardest hit'. Throughout the 21st century climate change is expected to lead to increases in ill health in many regions, especially in developing countries, with low income and a greater likelihood of injury, disease and death due to heat waves, fires, storm surges, coastal flooding and sea-level rise. The threat is however, a global one. Ireland’s Green Party leader Eamon Ryan said following the publication of the reports, and given the recent storms in Europe that the science was certain and dramatic. 'Ireland is threatened by an inevitable rise in sea levels and flooding unless we act now. He also said that Ireland is not prepared for the climate-related risks it faces while it still awaits the publication of the Climate Action and Low-Carbon Development Bill.